In short, proceed with caution, and get educated before you reach for your wallet. Here are a few helpful tips to get you started. 1. Where early Sixties “slab-board” Strats are concerned, a lower serial number does not necessarily translate into an older guitar. 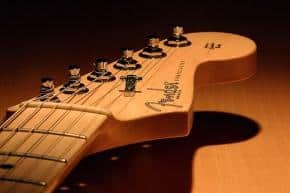 In the old days, Fender factory workers grabbed neck plates (that’s where the serial number on a Strat is) out of a barrel in no particular order. Always “pull” the neck and check the date that’s either stamped or penciled in there. 2. Much to Fender’s continuing dismay, it’s still pretty easy to score vintage replica headstock decals if you know where to look. Many bootlegs do not have the tiny patent numbers on the decal; a real Sixties Strat will have at least to. 3. in the early Sixties, Stratocaster and Jazzmaster necks shared scale and dot configurations. Forgers will sometimes cut Jazzmaster headstocks down to size, slap on a Strat decal and attach them to a replacement bodies. To check for this, unscrew the neck and look at the stamp under the truss rod. It will consist of a number, followed by a month, a year and a letter designating the neck width. The first number is the model code: Strats have a “2,” Jazzmasters have a “4.” If you pull the neck off a Strat and see a “4,” it’s converted Jazzmaster neck. Run like hell. Nice article! Some people just aren’t as informed as they should be. Nice job! Great stuff. I don’t collect guitars but it never occurred to me that there would be a counterfeiting problem. I guess I should have expected it. Thanks for the information. As we know, counterfeiters are getting better and better with the use of computers. Hey thanks for the advice! I was searching and found this site and it is pretty informative, but it only talks about mostly strats. I have a few questions of my own to ask. 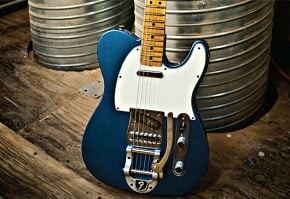 First of all, is there any way I can run a serial number from fender or anything like that? Also, I purchased a Fender Jag-stang a few days ago and if I’m correct they only made origionals for 3 years, 96, 97, 98 and I heard they made reproductions in 2002. 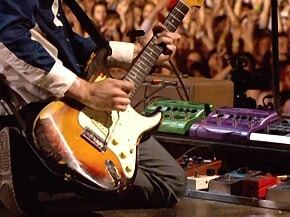 My Guitar supposed to be a 1996 model Jag-stang, but how can I be so sure? It is in pretty great condition just for a few pen scratches on the back. I would be happy to hear a reply and maybe you can tell my something and give me advice. Thank you. are blueberry guitars still being made today?